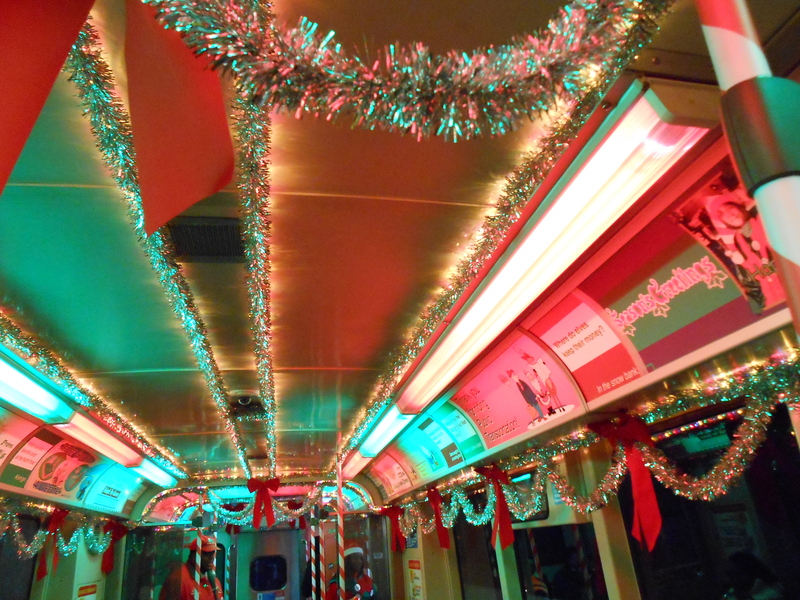 Every year the Chicago Transit Authority (CTA) puts together a holiday train. These trains are elusive since they usually only run maybe once or twice between set times per line per day. The trains, depending on the time can get packed, especially if it’s the time people are getting off work. This is usually between 4:30-6pm. The holiday train starts in late November and goes until the 23rd of December. The train will switch lines and one day be on the redline, another day the brown line. 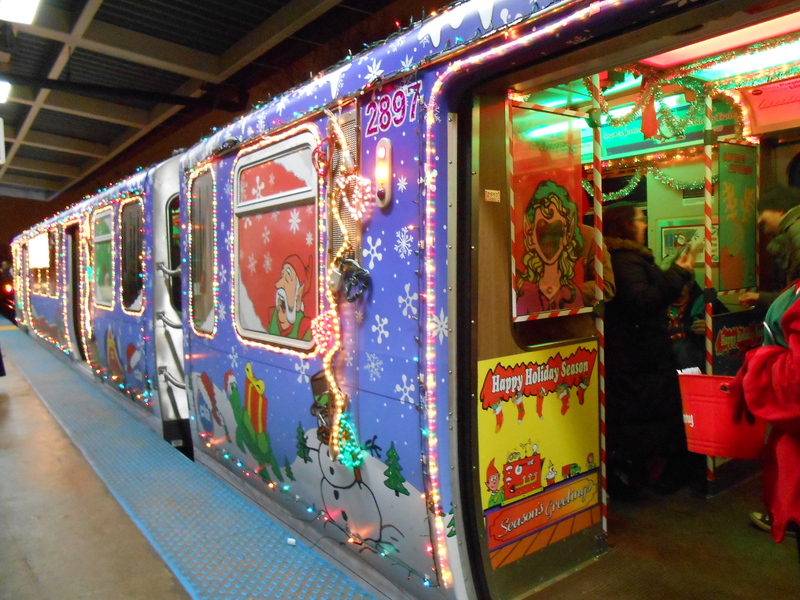 A schedule for the holiday train can be found on the CTA’s website. It’s broken up by lines and day and then by what time the train should be at each stop. Since I’ve never managed to catch the train by luck this year I decided to proactively catch it. I waited for the train off the redline, and got there early since the CTA isn’t always the most accurate on time. Each door for the holiday train has a CTA worker dressed like an elf with a bucket filled with miniature candy canes that you can have for free. The train cars smell like cinnamon and there are holiday jokes and fake holiday commercials. The upholstery of the train seats are holiday themed and holiday music plays of the speakers. It was fun and festive but since it was a packed train it was hard to hear what stop we were at or see what station we were at through the windows because of all the people. The outside of the train is decorated as well and there is one open train car set up like a float that is decorated with reindeer and Santa sits there waving at everyone as he passes. I’d seen him passing on the El from the street probably on a day where it was running on a green or orange line. Even though he wasn’t at a station he was still waving to people down below on the street.